Even if you suspected it, actually getting an Alzheimer’s diagnosis can be devastating for you and your older adult. It will likely leave you wondering what to do next. Our friends at Kindly Care share wise advice on what to do after a diagnosis. You just got the news. The doctor said it out loud. The sudden realization that comes when a family hears a dementia or Alzheimer’s diagnosis is often overwhelming. Friends and relatives are usually aware (sometimes for a long time) that something is wrong, but everything changes when a doctor actually puts it into words. There are no more rationalizations, the problem can no longer be overlooked and the patient can no longer just be characterized as “eccentric”. It is at this point that a family needs to unite and start taking immediate action to ensure their relative’s safety and care, as well as make plans for the future. A lot of changes will be taking place and while none of them will be easy, being prepared is essential to surviving this period as sanely as possible. It’s important to know what to expect as the disease takes its course, as well as well as how to maintain your own health and family relationships. Also, in spite of everyone’s good intentions, things don’t always run smoothly. 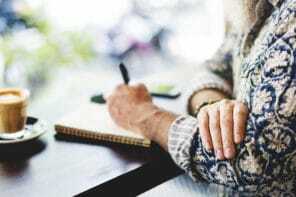 The person who agrees that there needs to be a Power of Attorney or says they will accept bill paying help might suddenly balk at the idea once there is an appointment with the lawyer or they may start hiding invoices rather than allowing assistance. Getting organized, creating a long term plan (and sticking to it as best as possible) will help to make the process more manageable. Involve the person with dementia whenever possible and encourage them to participate. These 20 suggestions will help you plan for the future. Do not just accept an offhand “Mom’s got a touch of Alzheimer’s “ or “it looks like dementia” from a primary care physician as a certain diagnosis. Ask for a referral to a neurologist for an in-depth and possibly more specific evaluation and diagnosis. Other conditions can mimic dementia. One example is depression. Also medications can sometimes cause similar symptoms as can thyroid disorders. A neurologist may be able to further define what type of dementia your loved one is experiencing, helping you to understand what changes to expect. Bring it out in the open and let close family members know what is happening so they can provide support and help maintain your loved one’s well being. While this may seem like an invasion of the individual’s privacy, it can provide a safety net encouraging friends and family to check on them, as well as ensure that they are not being preyed upon by the unscrupulous. Identify both the immediate and long term needs. It is so important to look beyond the immediate and plan for the progression of the disease. The motivation to take care of the “now” can dissipate and leave family members floundering a year or two down the road. What type of care may be needed? Is the current living situation safe and accessible? Are useful resources available? Do they have adequate finances for the assistance they might need in the future? 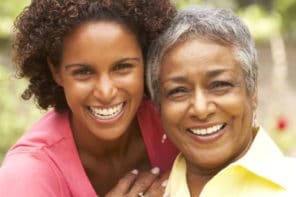 Many families hire a professional geriatric care manager (either for a one time consultation or long term) to create an ongoing care plan, direct the family toward resources and sometimes even act as mediator between the family and the patient. This is often less stressful because a professional does not have the emotional connection that the family has and can remain objective. They are able to evaluate the situation in a professional, non-judgmental manner. Also, the ability to access and navigate resources more quickly will often make the service cost effective. Designate how care and other assistance might be divided. Who can take mom shopping or accompany her to medical appointments? Who will pay bills and handle finances? Those unable to provide a physical presence should also be encouraged to contribute. A son residing in another country might be able to provide some help via a grandchild or can be asked to contribute financially. Equally providing help in one form or another will often eliminate resentment between family members in the future. Consider what might happen if the primary caregiver should become incapacitated. Is there a backup plan if Dad gets sick and can no longer supervise Mom? Do some research on home care agencies or facilities offering respite care. Is Mom or Dad losing weight? Is their nutrition adequate? Check the refrigerator and find out what they are actually eating. Many seniors skip meals because it is just too much effort to cook or will substitute meals with low nutrition snack items. Is cooking still safe? Locate and organize invoices and be aware of recurring payments. Many utility companies have programs where a family member (when authorized by the customer) can access payment information or even be called if a payment is missed. Set a day/time where you can sit down with your parent to help them pay bills. Make sure they get mailed out. More than one person has found un-mailed checks sitting in a drawer while the bills become overdue. Legal documents should be located and verified, and an attorney should be consulted regarding a Power of Attorney for Health Care and Finances. A copy of the Health Care proxy should be given to the primary care physician. (Keep a copy on your phone as well as a copy of your parent’s medical insurance card) Have your loved one sign a HIPAA release so that you may have access to medical providers. Some offices will not even confirm appointments without this. Locate insurance policies and check for long term care coverage. 10. Are the individual’s wishes known regarding funeral arrangements? If this is too uncomfortable, perhaps the family attorney or a care manager can help identify them. Family members can then ensure that they will be adhered to. Is mom maintaining the appropriate diet for a diabetic? Is Dad using his walker as directed? Are they capable of successfully managing a condition or process appropriately (i.e., a colostomy). This is important as often people will insist they are in control (until a medical crisis occurs). Ensure that they are being taken appropriately. Medisets (compartmented pill boxes with days listed) are a visual reminder for daily medication. Assign a family member to fill the boxes and maintain the medication supply. Double check the prescription list with the Doctor’s office. Check the medicine cabinet and dispose of all expired medications or those prescribed for conditions that no longer need treatment. Make sure there is adequate lighting, no loose rugs, secure locks on doors and program the telephone with emergency numbers. Also, keep a list of emergency numbers visible that identifies who the person is (i.e., “Mary — John’s daughter who lives next door”). Consider a personal communication/emergency device. Are they safe alone at night? Is the bathroom safe — well lighted with grab bars and non slip surfaces? Can they still bathe alone safely? As extra insurance, can bathing be arranged while a family member is in the house (i.e., while putting away the groceries)? Maintain a notebook that documents medical conditions and incidents, lists medical providers and phone numbers, insurance cards and copies of identification cards. Include your parent’s date of birth and have access to their Social Security number. Arrange for safe exercise and activities; walking, senior programs, etc. Walking in the park with mom is a great way to spend quality time. Can dog walking become a regular supervised exercise? A neighborhood youngster might be willing to walk the dog, make sure he has food and water and can contact you if there is a problem. Caring for a pet can be inconvenient, but ending that relationship by removing an animal can be extremely traumatic to a senior. Boredom can lead to depression or anxiety. Create ways that will continue to engage and stimulate the individual. Create a “collection” and add to it regularly. Dollar Stores, Goodwill and even yard sales are good sources for such items. Puzzles, brain teasers, simple electronic games such as Simon, craft projects, sing-along music and trivia games are possibilities. These can also provide activities for you to do with your loved one during visits. Even if your family member has been diagnosed with a dementia other than Alzheimer’s, organizations like Alzheimer’s Association are a wonderful resource for programs, services and activities. Take advantage of family/caregiver support groups, read about the illness and stay informed. Many caregivers find that asking for help is extremely difficult for a number of reasons. They feel guilty, believe others might think they “don’t care enough”, feel others might see them as lazy or incompetent, and may think it looks like they are avoiding their responsibility. Not only is it important that you take care of your own health and well-being first, but often a break can help you change perspective of a situation before things become overwhelming. Make a list of what kinds of help you need; a “sitter” so you can go shop or take a walk, someone to help clean or cook, or someone to just have conversations with. When someone asks “What can I do to help?” you should always have an answer from that list. The above information can only serve as a guide. Every individual and every family is different. We all have different expectations and caring for an aging parent can be a very emotional and frustrating task. We really don’t really expect that role reversal. It is important to maintain your own physical health and mental state. Keep a sense of humor. It really is okay to find the humor in situations as you go on this journey. Take a deep breath, take a break and even if you think you don’t need it, put yourself first. Airline crews always remind us when traveling with children to put your own oxygen mask on first in an emergency. This is good advice to take to heart. Remember, no one is perfect and doing your best is really all you can do. Guest contributor: Susan M Anderson, MHS, CMC is a certified Geriatric Care Manager with 20+ years experience. Now semi-retired and writing for Kindly Care, a care management platform for peer-to-peer caregiving. Kindly Care’s services include household payroll, liability insurance, tax compliance, as well as a directory of thousands of pre-vetted caregivers.